Being Polish is no joke. For ten million people of Polish ancestry in the United States, as well as many who have settled in the UK since the fall of communism, it is a heartfelt matter⎯and amid all the travel guides and guides to Polish language, folklore, and customs, there is no single, comprehensive, reader-friendly and yet ever-informative reference on what it means to be Polish. 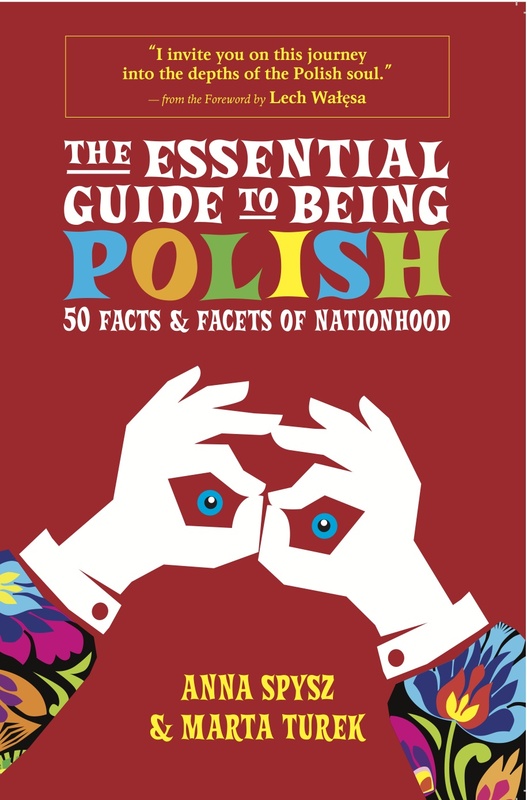 Enter The Essential Guide to Being Polish⎯the go-to concise resource for anyone looking to reconnect with their culture or, indeed, hoping that their friends, children, or colleagues learn something about their heritage. Divided into three sections to make for an easy-to-follow format⎯Poland in Context, Poles in Poland, and Poles Abroad⎯this guide covers just about everything and does so in a style that is at once entertaining and informative: the country’s history and geography, wars, Jews in Poland, the communist past, the post-communist past and present, language, kings and queens, religion/Catholicism (with special focus on Pope John Paul II), holidays, food, and drink. What is a real Polish wedding all about? That, too, is addressed succinctly and with flair in this guide. Other chapters cover literature, music, art, famous scientists, Polish men and Polish women, Poles in America, Poles in the UK, Poles and the EU, and last but not least, Polish pride. Anna Spysz, who is both the coauthor and the book's editor, is the former editor-in-chief of the Krakow Post (May 2008-December 2010), Poland's only English-language newspaper. A Polish-born American, she graduated in 2004 from the University of Texas at Austin with a BA in English and subsequently moved to Krakow, Poland, where she earned an MA in Central and Eastern European Studies from Jagiellonian University. She lives in Portland, Oregon. Her website is www.annaspysz.com. Marta Turek moved from Poland to the United States as child with her parents, settling first in Chicago and, later, in Seattle. In 1993 she moved back to Poland, where she has been ever since. She has edited English-language texts and taught English as a second language for the past decade on both sides of the Atlantic. Her employers have ranged from ELS Language Centers in Seattle to schools, international companies, and universities in Poland. The holder of an MA in English linguistics from Adam Mickiewicz University in Poznań, she lives in Rokietnica, Poland.